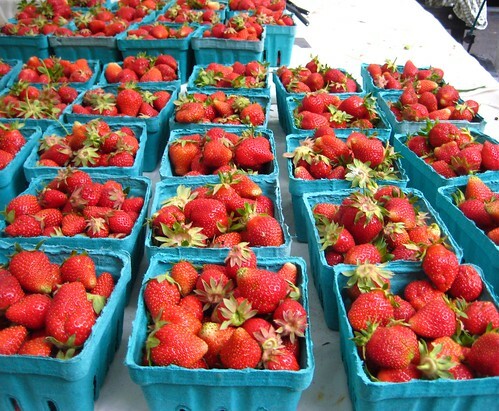 Blondie and Brownie: Strawberries, Ramps, and Rhubarb All in Season! I'm a firm believer that the Wednesday Greenmarket at Dag Hammerskjöld is underutilized by Midtown East workers. It's the only Greenmarket available to us year-round, there's always a good selection of food-though it does get a little sparse during the winter months, and the vendors are ALWAYS super friendly and willing to help. 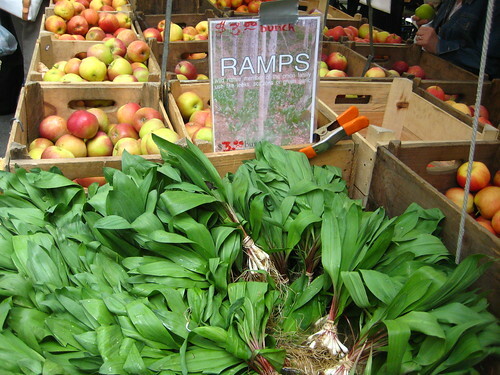 It's where I found this season's ramps; Union Square's run out before 9am. And it's where I saw this season's first strawberries! Summer, summer, I love you summer! I'll admit, until this year, I'd never been able to get my hands on ramps. I didn't know what they were until a few years ago! Now I'm hooked! My favored cooking method has been simply slicing and using in place of garlic or shallots, but now I'm onto the broiler method utilized by Jess from FoodMayhem.com. Sidenote: I went to the same FreshDirect dinner and I'm completely hooked on them too. I don't think ramps will be around much longer, but I know I did see them last week, so one can hope they'll be there tomorrow! 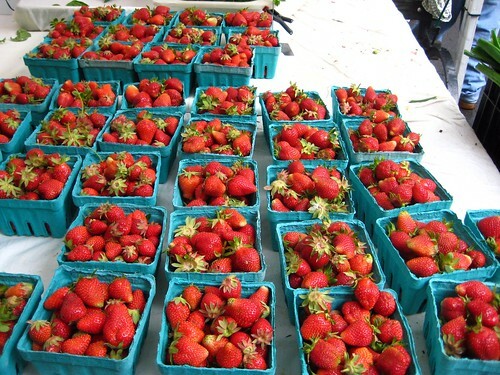 We are planning a strawberry picking trip soon. Can't wait to start trying out strawberry recipes.